This is amongst the most unique treks in Ladakh region that passes through some of the most remote villages and also involves crossing small streams. The local residents are mainly Buddhists. As we trek to the upper end of Markha Valley, we are rewarded with spectacular views of the stark jagged landscape punctuated with rich green Oasis in the backdrop of snow-capped mountains. Measuring in terms of difficulty, this would rank in moderate category. With tons of visitors trekking in the Markha Valley, it has started to get very dirty as tourists throw and burn a lot of garbage, which spoils the beautiful mountain trail and camping areas. The purpose of this trek is simple – to enjoy nature and help her by cleaning up. A simple way of giving back that is enjoyable and effective. All it takes is just one bag!! 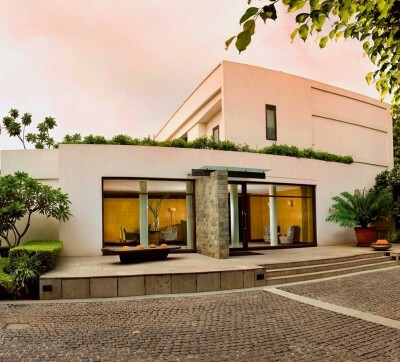 Upon arrival at Delhi in the evening, you are received and escorted to the hotel by a Vasco representative. You are welcomed inside the hotel in a Traditional Indian style on arrival and check-in to the hotel for overnight stay. In the wee hours of the morning have a quick cup of tea/coffee and afterwards you will be escorted to the airport for your flight to Leh. This flight from the Indian capital to Ladakh’s capital will be something that you might remember for the rest of your life (provided you get a window seat). 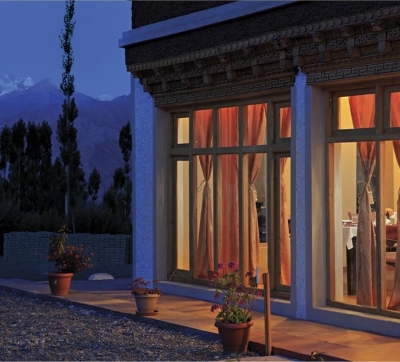 Upon arrival at Leh airport you will be received by a Vasco representative and escorted to your hotel. 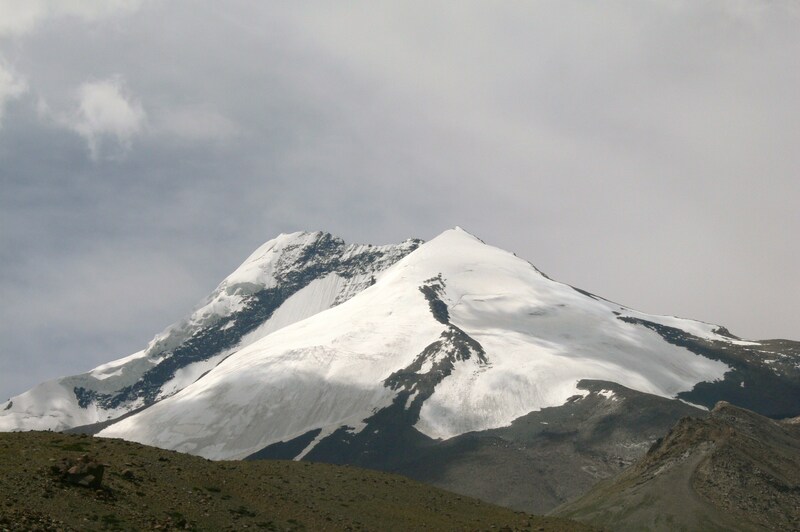 There will be no activity on your first day of arrival as it is recommend for tourists to relax and undergo minimal exertion to enable them to get acclimatized to rarefied oxygen level in this high-altitude region ensconced in the high Himalayan plateau. Today after early tea/coffee, we drive to Thiksey monastery which also houses a two story stucco statue of Maitreya Buddha seated on a lotus. Upon arrival we witness the monks gathered in the assembly hall for the morning prayer ceremony, that begins before sunrise at 6AM. After that you will be guided to visit other parts of the monastery followed with a breakfast at Thiksey monastery restaurant. Thereafter we drive two kilometers ahead of monastery for a photo halt along the banks of River Indus. Later drive to the Hemis Monastery which is another 30 kilometers southwest of Thiksey, hidden behind mountains. 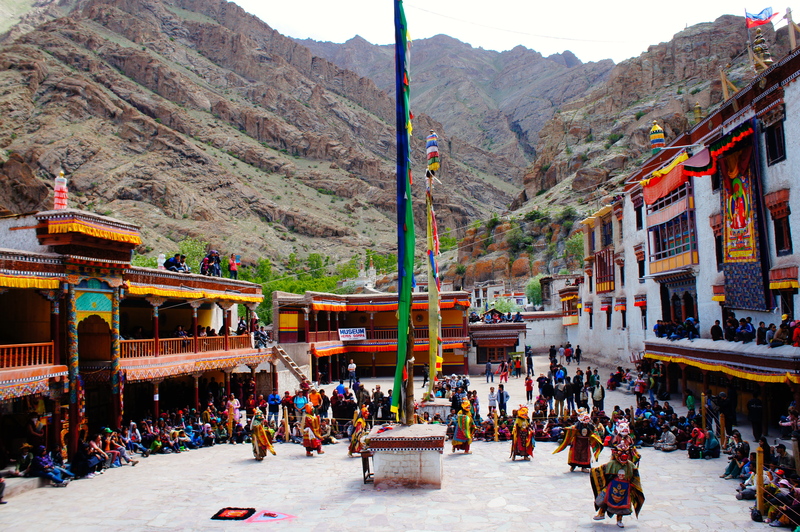 Hemis is the largest and the wealthiest monastery in Ladakh. We will finish today’s sightseeing by visiting Shey monastery. Shey was the summer capital of Ladakh in the past. The palace, mostly in ruins now, was built first in 1655, near Shey village, by the king of Ladakh, Deldan Namgyal. 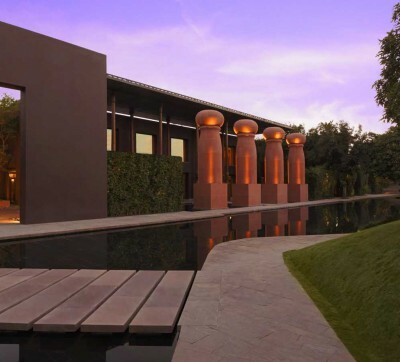 It was used as a summer retreat by the kings of Ladakh. Today after an early morning breakfast we will drive to Zingchan, upon arrival we start our trek following the Zingchan stream passing through small hut, entering the Hemis National Park, the trail then leads through narrow gorge and then the valley widens and reach Rumbak village. Then the trail continues along the stream crossing the bridge and arriving Yurutse village. We establish our campsite and then rest of the day is spent exploring the surroundings. Begin your day with a steady climb for an hour to the Ganda-la (4920mtrs) from the top we catch a spectacular view of the south to the Zanskar range. After we descend from the pass, we reach at Shingo village (4150mtrs), below Shingo the trail enters a narrow gorge, lined with willow trees and small Chortens (Stupas) mark the confluence with Markha valley. Prior to arrival at Skiu, you will have to wade across small streams to get to our campsite on green pastures, located along the Markha River. Your day begins as your trail follows the Markha River to the South east and after a pleasant trek passing Sara Village crossing the bridge to reach and sparsely populated Chaluk Village. Continue with your trek and cross the river and walking along the left bank, on crossing the river you will arrive at Markha Village! Arrive and set up your camp in the midst of the willow trees. You will cross the river the following day at its level rises in the afternoon, making it very difficult to cross. We have to start early in order to take advantage of the calm river walking for 20-25 minutes we reach the Markha river and assisted by our team to cross to reach the main Markha village, the largest village in the Markha valley. The Markha monastery can be seen perched on a cliff a little distance from the river. We can visit the monastery; which is open during the morning hours. After another 2 1/2 hours trek we reach Hankar Village, which contains ruins of an old fort and a small monastery. After lunch we will visit the Hankar monastery and the old ruins of the fort. We start with a steep ascent to reach Tchangungtse taking approximately 1 hour the top covered with the green pastures. 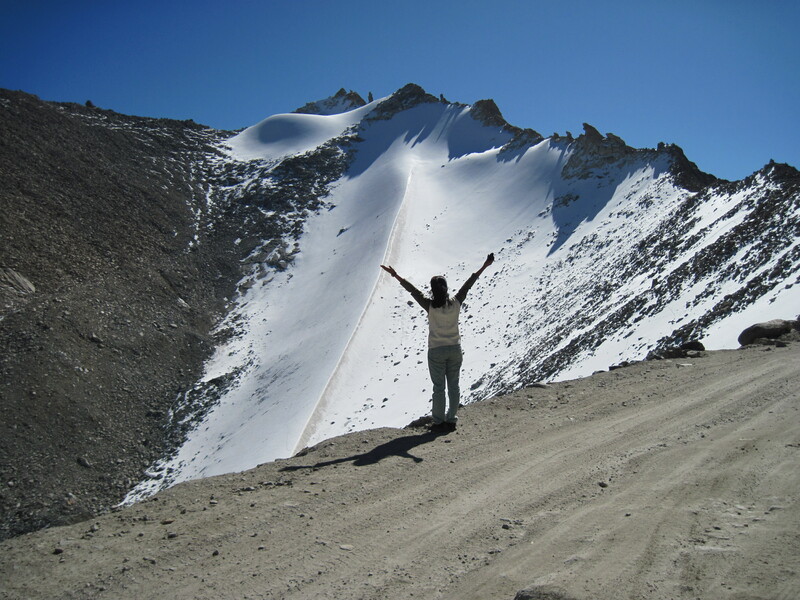 From the top we get a spectacular view of Zanskar Ranges and Kang Yaze peak (6400 meters). After a short halt, we descend on the other side on a trail that turns east and reaches the plateau of Nimaling - which is perhaps the greenest of our campsites. Yaks, Sheep’s & Cattle from the Markha Villages use the plains of Nimaling as the summer grazing grounds. Today we spend the entire day at Nimaling exploring the surrounding region and to discover the small stone hut known as Pollu in local language and also before we set on to cross the challenging Kongmaru La pass (5200 meters). Since we are spending the entire day here we can use this opportunity to remove as much garbage as we can. Once we set our foot on the ridge on top you are rewarded with grand views of the Indus to its northeast and Zanskar Ranges to its south. The descent from the pass is equally steep to Chogdo Village (approx. 2 hrs), which is situated at the height of (3810mtrs) consisting of 6-7 houses. From Chogdo descent eases off as you walk for a couple of hours to reach Shang Sumd. After early breakfast, you take the road junction leading to the Shang Village a 15-20 minutes’ walk, Shang is a larger village consisting of 10-15 houses with a newly founded monastery, after that you walk back to the campsite to continue the last day of trek to Hemis. Begin by walking along the left bank of the Shang river a gradual descent until you meet the Manali-Leh road, then you pass along small brick houses and a series of chortens for the final climb (1 1/2 hours) to reach Hemis. Upon arriving Hemis, we walk up to visit the Hemis monastery situated in a gorge and later drive back to the hotel. Today you will be woken up early in the morning, after a hot cup of tea/coffee you will be driven to the airport to connect your flight to New Delhi, this will be your last opportunity catch the spectacular view of the Himalayan ranges. Upon arrival in Delhi you will transferred to the hotel. Rest of the day is free for independent activities. At night you will be transferred from the hotel to Delhi International Airport for your onwards flight to UK.